The Nadawa Housing Community is re-establishing its youth club, thanks to the support of the Southern Division Community Policing Unit and the Fiji National Sports Commission. At the youth club meeting in Nadawa last Tuesday, the Fiji National Sports Commission presented to the committee a proposed expanded youth club structure at the request of Southern Division Community Policing Unit. The presentation focuses on adopting an inclusive approach using the youth club as the vehicle that drives the initiative. This has been the key message of the sports commission when establishing youth clubs around the country. While we provide empowerment opportunities for youths to manage the clubs, the support of adults using an inclusive approach would often come handy. The youths are guided to a level of confidence and competency to confidently manage the clubs. 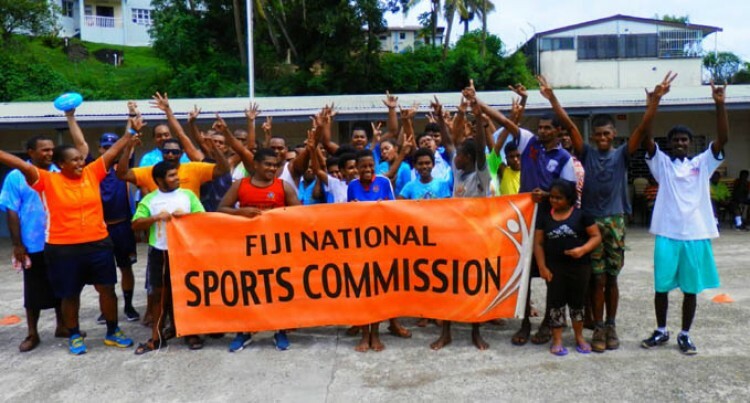 From the Fiji National Sports Commission’s experiences training youths to run clubs in the community, it has witnessed challenges like youths lacking commitment, leaving the village in search of work, unemployment, lack of empowerment or the rural-urban drift practices often associated with young people to be causes of club disintegration. Having older and mature people around to guide and instruct would often have positive impacts and better sustainability. Interestingly the Nadawa Youth Club has been thinking along the same lines. The club committee consists of youths and adults working together to achieve their goals. The expanded club concept involves affiliating sports clubs and community organisations under the Nadawa Youth Club. A sample constitution was presented with additional by-laws to govern the affiliation of addition clubs under the youth club. At the presentation, Sports Development manager, Joji Liga emphasised the need for club members to take ownership of their structure by deciding through their constitutions what is best for them given their demographics and needs. The constitution must reflect an all- inclusive concept where there is something for everyone in the community.. The youths play the part of driving the club and taking the leadership roles. There is no better way to empower youths than to give them such opportunities. The Community Policing Initiative of the Fiji Police Force believes that sport has a huge part to play in setting youths off on the right track. Divisional Manager Community Policing Southern ASP Iliesa Bolabiu is a strong advocate of this concept. Since the inception of the Community Policing initiative in 1996 where police presence in local communities were promoted through the establishment of community police posts, sports initiatives were seen to be a critical component of uniting communities to combat crime. Recalling his experience back in Toorak when he used Waisale Serevi and James Bolabiu, two sporting icons to work with youths, there was a dramatic drop in crime in the area and an increase sense of security around the neighbourhood. With the Fiji National Sports Commission’s expanded club concept to build communities, ASP Bolabiu believes the future looks very bright. This partnership with the Fiji National Sports Commission is the beginning of better things to come. He commends the commission for coming on board to assist. Nadawa Youth Club has been busy in the last couple of weeks trying to organise a sports and wellness program targeting the whole community. Yesterday the club organised an Inter-lane volleyball competition in their efforts to select men’s and women’s teams to the Easter Volleyball Championships. The Fiji Police Band provided entertainment for the programme while a range of sports was offered through a ‘give it a go” concept by the Fiji National Sports Commission. Club president Seru Semi believes the initiative by the Police and the Fiji National Sports Commission will go a long way in helping the 10, 000 people living in the Nadawa Housing Community achieve a sense of belonging and caring for each in addition to the many benefits sport plays in building a community. Seru, a training officer at the Fiji National University had club experiences in Labasa early in the days when Macuata was promoted to provincial rugby status. He has a lot to share and he firmly believes that sport is the answer to a lot of youth problems. He recalls inmates who had been in and out of Vature Kuka Prison in Labasa often would joke about how they had made a life for themselves after registering with rugby clubs and playing rugby competitively week in, week out. Seru wishes to contribute to his own community in Nadawa by using sport as the vehicle to promote community harmony and progress. Getting the Fiji Police Force and the Fiji National Sports Commission on board comes at no better time. He believes that our youths have the potential to excel provided we create community settings that allow them to excel. The involvement of church elders of the different religious faiths in Nadawa has been a positive development. Listening and talking to participants at the meeting last Tuesday, Nadawa will be a force to reckon with not only in sports but in other aspects of community life. At the conclusion of the presentation the Fiji National Sports Commission challenged the club executives to make Nadawa Youth Club the model for other housing communities in the greater Suva area by proving that sport has the power to unite communities.